It’s been some time since I last posted on my blog and I’ve got some good excuses. First was the annual Shakespeare here in Cyprus. This year we performed The Merchant of Venice and thoroughly enjoyed the experience – The Merchant not being one play that I knew before. A week after that I took part in My Fair Lady, and I have to say it was a most memorable weekend. 4 shows that were received with great enthusiasm by the public. That finished the ‘acting’ bit of my life for a few months and it’s now back to the final, final edit of The Assassins’ Village. This has proved to be something of a long saga and I’ll explain why. 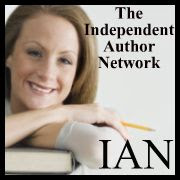 Recently I joined a couple of online sites primarily for writers and readers, namely You Write On and Authonomy. On these sites, (for those of you who don’t know them) authors post a few thousand words of their manuscript they are hoping to get published. The idea being, people read the excerpts and then review them. Great you might say. And to some extent it is – but… It takes an enormous amount of time and anguish. Let me explain. You receive a review. Some good and some parts bad. You look at the review and decide to change the not so good parts. So far so good. You expect an even better review next time. You receive review number 2/3/4/ etc. The problems now start. Everyone has a different way of looking at a script and perceive your idea in an entirely new way. You can’t please all. I found myself changing 2 chapters for one valid reason and then the next review suggested changing the ms to its original writing! All time consuming but hey, I’m still doing what I want! So if any of you want to check out The Assassins’ Village on either You Write On.com or Authonomy, then please do so and give me a break; write a good review!